Runde's Room: Sunday Super Sale GIVEAWAY!!! Are you ready to SCORE some great resources this weekend??? 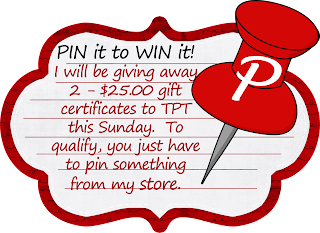 To sweeten the deal a little bit (and help out with those growing wish lists) I'm giving away TWO $25 gift certificates to TPT. 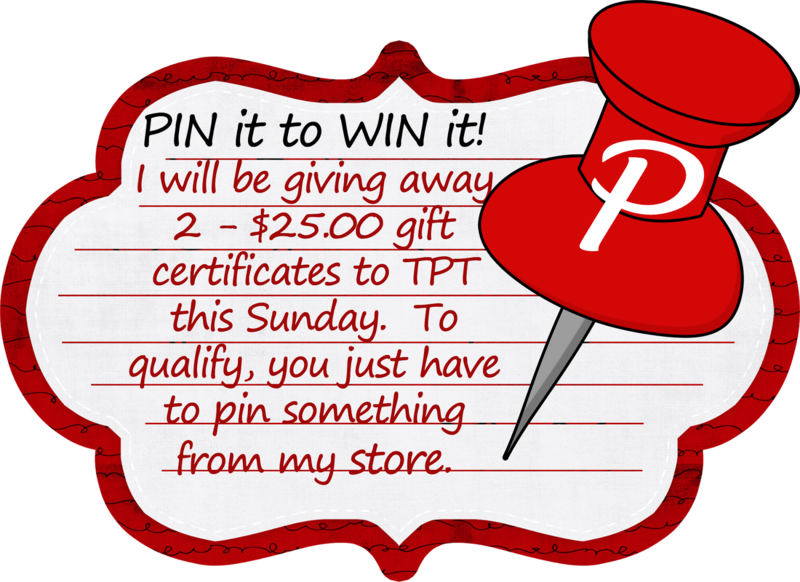 Pin one of my resources from my TPT store. Leave me a comment below with the link from your pin. Please leave me your email as well, so I can contact the winners. You can pin as many resources as you wish - just leave me a separate comment for each pin (you only have to leave your email once). I'll be using the random number generator to pick 2 winners from the comments on Sunday, February 3rd (a.k.a. Super Sale Day!) at 12:00 pm E.S.T. Cootie Catchers - My kids love them! I pinned your fantastic Grammar Dots! Had to remove my comment, forgot to add my email! This is an activity I have been wanted to do ever since I saw it on pinterest. It makes graphing fun!! We do a Chris Van Allsburg author study and the kids love reading The Stranger book as a read aloud. I just started to incorporate some interactive notebooks into my content areas. The kids love foldables and study cards. I would love additional support and this offers tons of resources. I am trying to instill a love for reading without overpowering the kids with tons of writing and questions. However, I need a way to assess their reading in a fun and less time consuming way. This looks helpful. Love and shared the math Cootie Catchers! I love these comprehension fans!! Great to get the kids talking about their reading! I already have a wish list for a few things from your store - so this will be fun:) Hope I win!! I bought these, and my 7th & 8th graders LOVED them last year! The math fan is next on my list! great resource for my fifth graders! Need new literature circle units!! Totally need these response journal prompts! I can't wait to try this out with my kids. They enjoy graphing and the 3-D effect will really get them moving! Just picked this up for Monday! Can't wait to try it out with my BrightLink! I pinned your Math Cootie Catchers which are so awesome and fun! I pinned your Math Reflection Fans too! These are such a great CCSS resource! Love the math talk! I pinned your Pop-Up Bar Graphs because they are so cool! I love 3-D things and so do my students. A great way to get them engaged! I love your math reflection fans. I am always looking to improve in my skills in teaching math! I pinned your Interactive Math Journal as I enjoyed looking at the preview and what you have created. Comprehension Question Fans...this is great! Chris Van Allsburg inferring unit. I am using this right now and love it! Pop-Up Bar Graphs...so much fun! This product can go hand in hand with the interactive math jounals product I bought. This can also be used alone, as an exit slip or end of lesson reflection. Love that it gets the kids thinking deeply! Wow! This product has answered all of my questions on how to correctly maintain a math notebook! Too often I revert back to copying notes and lecturing kids. Now the kids are showing their work and thinking in an organized, deeper thinking level. Thank you for your hard work! I already purchased the math reflection fans, so I knew these would be just as good. These are perfect for that b/c there are so many different types of questions that cover all the main strategies for reading! My summer to do list is already growing---wanting to investigate notebooking more so I pinned Interactive Math Journal. I pinned your interactive math journal which I love. 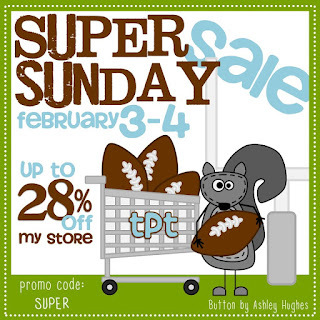 I love your TPT stuff! Thank you!! http://pinterest.com/pin/168533211027697353/ My students are going to love these. Interactive Math Journal - awesome! Thanks! Love reading your blog! Very inspiring! I love your blog! It has given me so much inspiration for this school year! I enjoy your blog and wonderful ideas. Hope I'm not too late.. love your stuff! Thank-you SO much to all who entered. I drew two names at 12:00 EST - see my post above. I hope ALL of you SCORE some great deals today to help you with your students!